Simviation Forums • View topic - No bank angle warning? 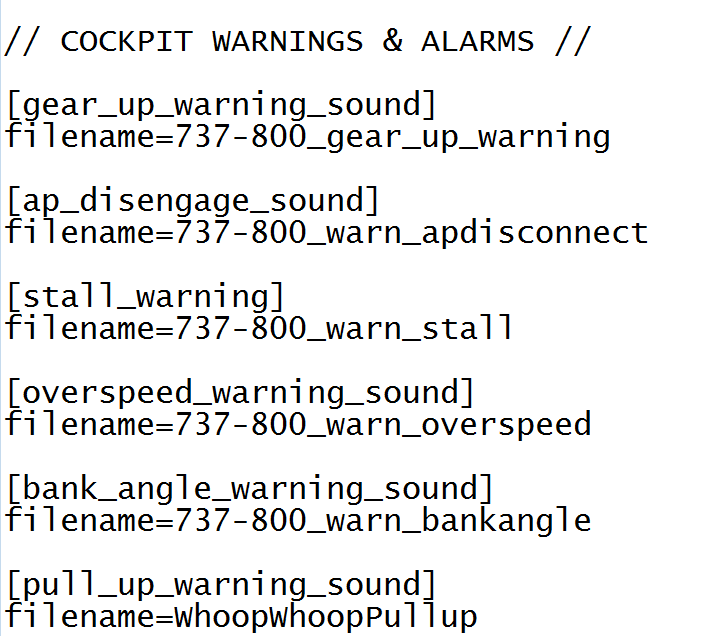 Hello, I downloaded a realistic sound mod for my default 737-800, but the uploader didn't add the bank angle warning, and the autopilot disconnect was not really realistic, but since I had the PMDG which didn't work so i transferred the AP disconnect and the Bank Angle warning to the default 737-800, the AP disconnects works, but can't hear the Bank Angle, I looked in the panel.cfg, wasn't there and added it, but still not working. I've done various bank angles to see when it triggers (even flipped the plane over) but no Bank Angle warning sound. Am I doing something wrong? Re: No bank angle warning? Are you sure you moved the sound file the gauge needs? as I stated earlier any sound file can be checked by merely double clicking on it. It does no good to move the gauge if you do not move the required sound it uses. GTX 950 OVER CLOCKED: 2 Gigs Ram Windows 10 Home 64 bit Operating system. 750W Dedicated modular power supply. Two Internal 1TB hard drives 1 External 1TB 3.2 USB hard drive. SAITEK Cessna flight Yoke with throttles. garymbuska wrote: Are you sure you moved the sound file the gauge needs? 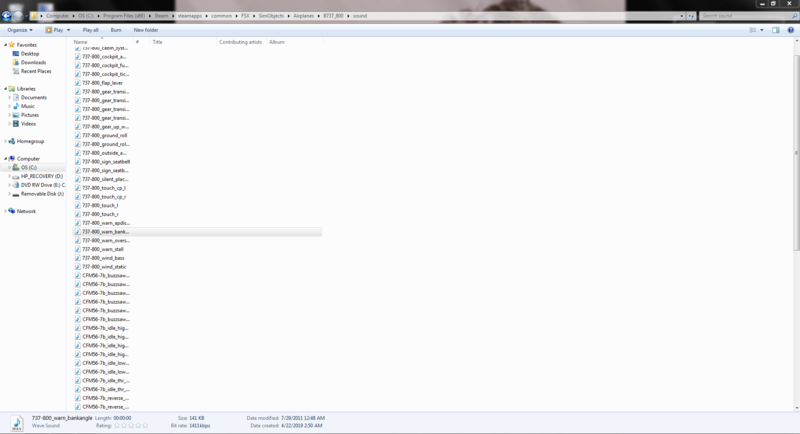 Can you tell us what file you have downloaded? & you're trying to add it to the PMDG 737 right? I don't have that so can't test but 1st step is to have a look at the mod you are asking about. I mean what mod did you download. I can't help with the PMDG but could look at the sound mod you downloaded. I'm surprised the pmdg doesn't have it, I use the Ifly 737's and it works fine also with the preset bank angle limit on the mcp. May the Mynd be with you. I am talking about the default 737-800. Ok, my comment was because but you said the pmdg didn't work. It maybe something that is part of the model so maybe not present in all aircraft, needs somebody that creates aircraft to know what actually triggers the bank angle warning. This could be what triggers it. but I am not sure it might be part of the model file I have not been able to find anything so far as to what triggers this warning.